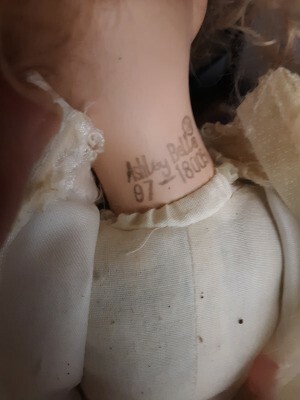 I have a genuine Ashley Belle doll that I'd love to find out the value? Anyone know anything about this? It's in excellent condition. There are markings on the back of her neck. Ashley Belle dolls are mass-produced and lose value. Depending on the size of the doll, the regular ones get $25 and under and the larger ones maybe $50. Can you please post a photo of her face and body? Front and back please. The numbers are not enough to research. I am happy to get more of a value for you with a bit more info. Also how tall is she?